Masks There are 39 products. 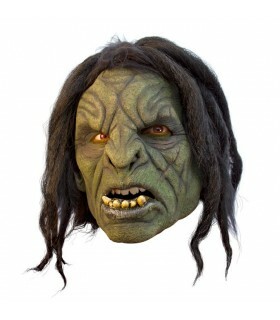 Mask hair green with Orco. Made of good quality latex. Head approximate size: 57-59 cms. Ideal for LARP or various theme parties or carnivals. The Predator is an alien species is characterized by hunting other dangerous species, including humans. 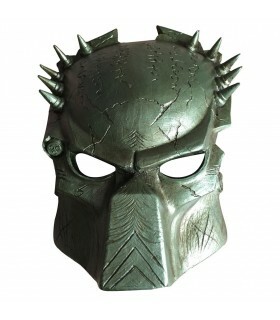 The Predator used hunting as a sport.Movie Mask Predator; Mask measures are 32.5 x 22.5 cm. The Predator is an alien species is characterized by hunting other dangerous species including humans. The Predator used hunting as a sport and their victims as trophies. 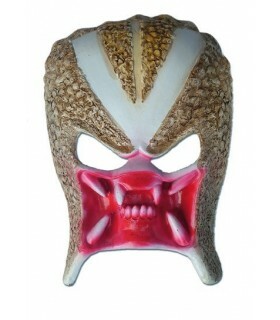 Movie Mask Predator, with the following measures 32.5 x 22.5 cms. 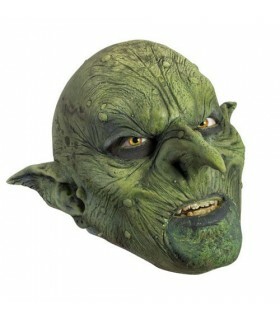 Green Goblin mask bad. Made of good quality latex. Head approximate size: 57-59 cms. Ideal for LARP or various theme parties or carnivals. 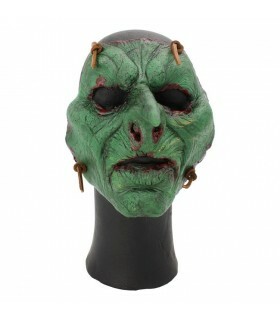 Zombie cut face mask. Made of good quality latex. Head approximate size: 57-59 cms. Ideal for LARP or various theme parties or carnivals. 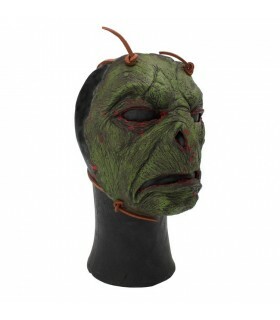 Orco Feral green mask. Made of good quality latex. Head approximate size: 59-61 cms. 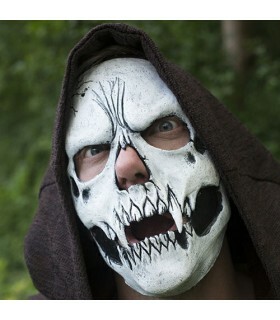 Ideal for LARP or various theme parties or carnivals. 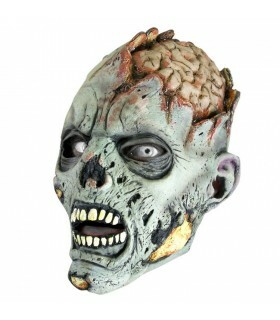 Mask Zombie brains. Made of good quality latex. Head approximate size: 57-59 cms. Ideal for LARP or various theme parties or carnivals. 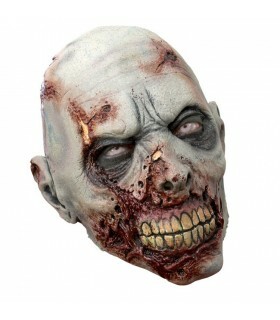 Full mask Zombie. Made of good quality latex. Head approximate size: 57-59 cms. Ideal for LARP or various theme parties or carnivals. 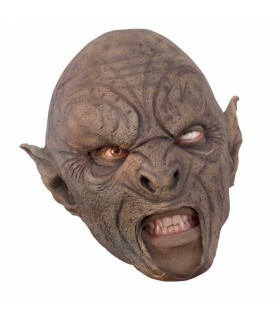 Orco mask made of high quality latex. 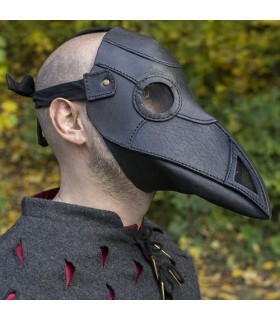 Ideal for LARP, performances, carnivals, Halloween, etc. It includes leather straps to fit the head. 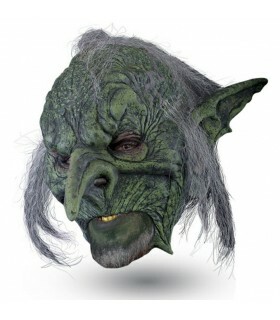 Green Goblin mask with hair professional. 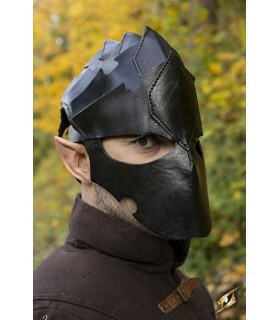 Ideal for LARP, performances, carnivals, Halloween, etc. Plague Doctor mask only and adjustable height. 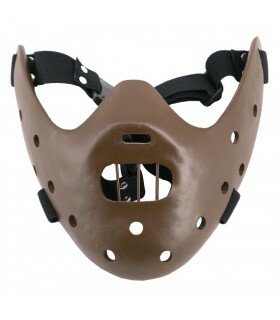 It is a mask made of high quality leather that fits the head with leather straps. It is a product designed in the 17th century in central Europe by Charles de L'Orme. Used by the "Doctors of Death" to treat their patients. The elongated nose mask was filled plant to filter "bad air" of infected patients. Adjustable white skull mask. Made of 100% natural latex. Ideal to complement a cap or hood. Behind, it includes elastic self-adjustable. 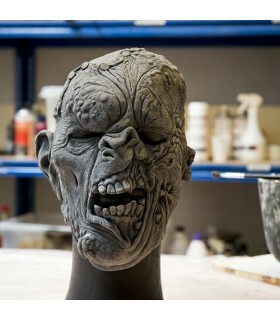 Mask Head Human Mutant unpainted made of latex. Very realistic and original. 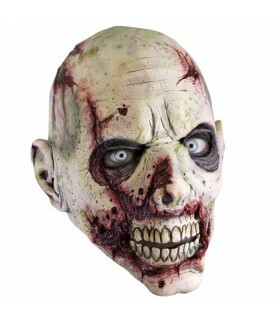 Mask Human Head Zombie unpainted made of latex. Very realistic and original. 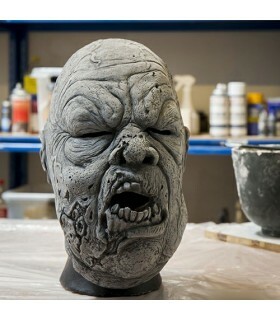 Mask Head Zombie Viscera unpainted made of latex. Very realistic and original. 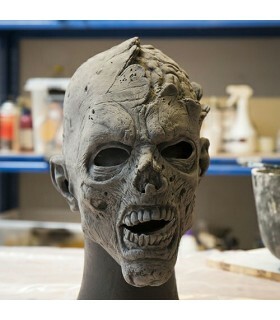 Mask Head Zombie unpainted made of latex. Very realistic and original. 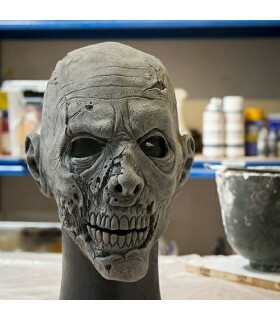 Mask Zombie Half Head unpainted made of latex. Very realistic and original. 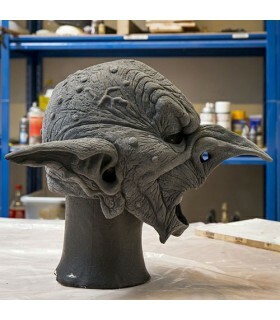 Mask puck unpainted made of latex. Very realistic and original. The Predator is an alien species that is known for its hunting of other species, including humans. 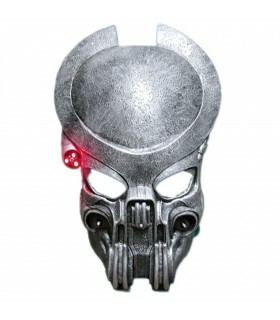 The Predator used hunting as a sport.Mask with light film Predator, with the following measures 39 x 22 cms. 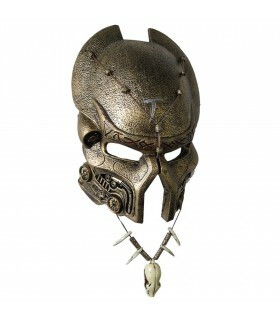 Predator Mask Pendant he built. The Predator is an alien species that is known for its hunting of other species, including humans. The Predator used hunting as a sport. 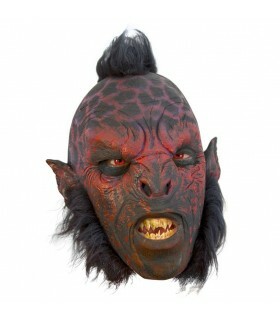 Orco carnal mask with red hair. Made of good quality latex. Head approximate size: 57-59 cms. Ideal for LARP or various theme parties or carnivals. 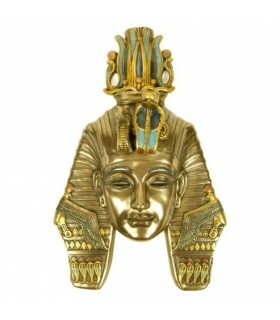 Mask of Tutankhamun decorative wall hanging. Made of painted resin. Dimensions: 18 x 28 x 8 cm. 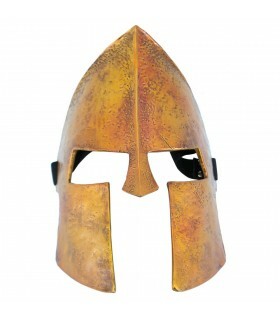 Spartan mask made of resin with dimensions of 30 x 20 cms. You can hang it on the wall. Also includes velcro to use at fairs and medieval festivals. 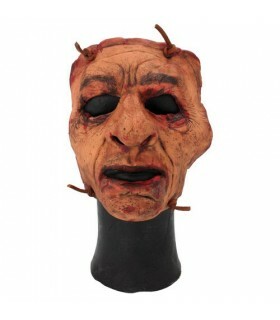 Orco Carnal brown mask. Made of good quality latex. Head approximate size: 57-59 cms. Ideal for LARP or various theme parties or carnivals. 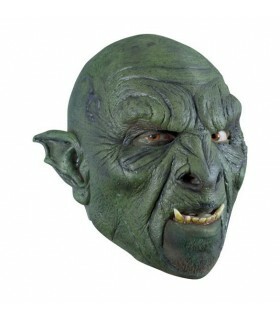 Green orc mask. Made of good quality latex. Head approximate size: 57-59 cms. Ideal for LARP or various theme parties or carnivals. 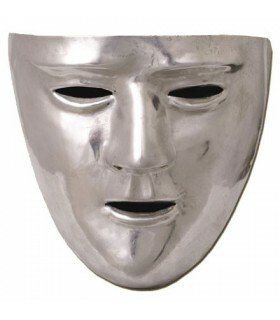 Roman mask made of tin-plated brass. Interior similar to that found in Kalkriese cuero.Réplica. 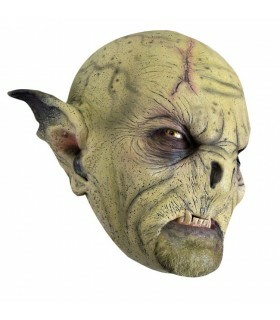 Mask Goblin unpainted made of latex. Very realistic and original. 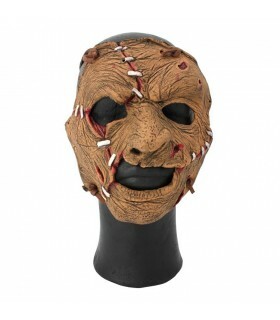 Mask killer made of leather, available in brown and black. 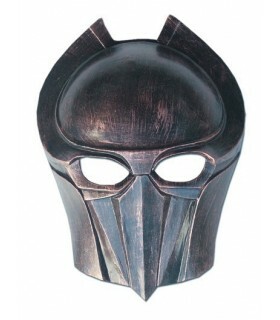 It is a full mask made of high quality leather. 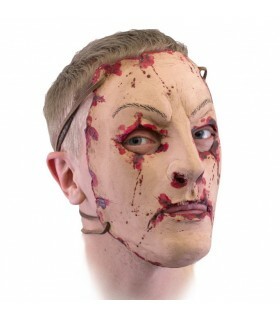 Above the eyes, the mask is equipped with bands of leather layered and a patch hex between the eyebrows. Plates of leather covering the top of the head and form a distinctive Mohawk leather. The helmet is fastened by a strap along the hair line. 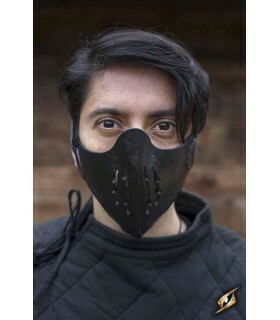 Mask Mempo of Killer made of leather and inspired by the warrior asian. This mask protects the area of the nose and the chin. Has four ventilation slots that allow for the flow of air, and is designed to be used comfortably for long periods of time. Conforms to the face by means of long cords of cotton. One size fits all. 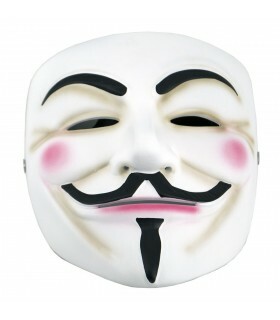 Mask official V for Vendetta. The mask is functional, white in color with details, very well finished. Manufactured in polymer. 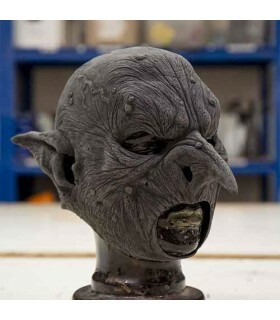 The full size of the mask is 17 x 19 cms. Mask non-official Silence of the Lambs. The mask is functional, brown color details very well finished. Manufactured in polymer. The full size of the mask is 19 x 20 cms. 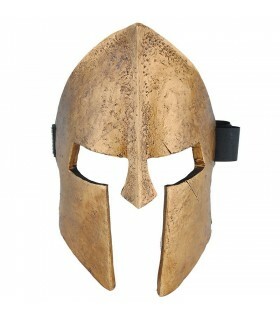 Mask of Spartan movie 300, unofficial version. The mask is functional, bronze colored with details very well finished. Manufactured in polymer. The full size of the mask is 28 x 19 cms. 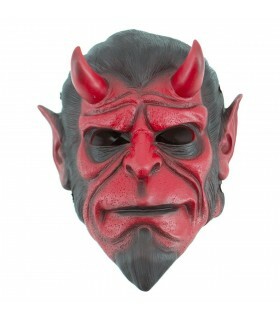 Mask Hellboy is not official. The mask is functional, with red details, very well finished. Manufactured in polymer. 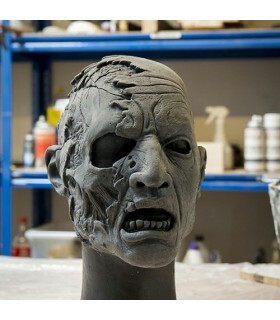 The size of the full mask is 33 x 22 cms. 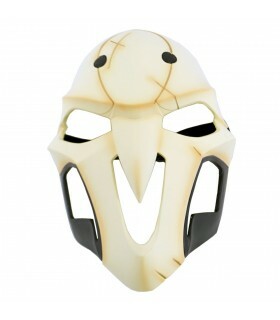 Mask of the character Reapera of the video game Overwatch. It is a product not the official. The mask is functional, white in color with details, very well finished. Manufactured in polymer. The full size of the mask is 31 x 19 cms.